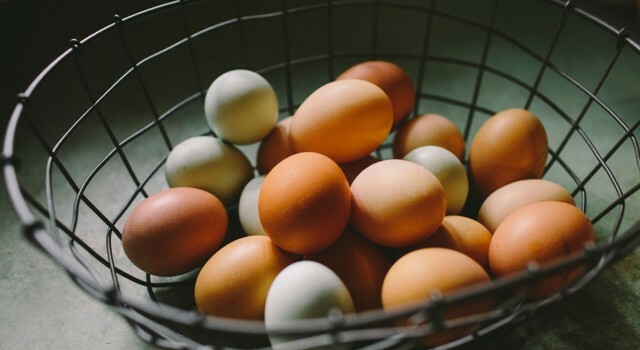 Putting all of your retirement eggs in one basket is easy to carry, but risky. Most workers are putting all their retirement assets in the basket of their employer’s retirement plan. They are depending on one employer and two dozen eggs (funds) to hatch and maintain their lifestyle, independence and dignity in their later years. Don’t trip. Just one generation ago employers provided their employees with defined benefit plans for retirement. The employee could plan on a benefit that the employer had contractually promised. The employer was responsible to insure that a defined amount would be payable to each employee when they retired. Such security today is obsolete. The new model moves the outcome responsibility from the employer to the employee through what are called defined contribution plans. The employer is helping with the input (the contribution), but no longer guaranteeing the output (the benefit). An employee’s retirement income is now contingent on four variables: how much the employee puts in, how much the employer matches, the performance of the underlying funds, and, of course, time. In a typical defined contribution plan, the employer will match dollar for dollar the first 3% of your salary, and fifty cents per dollar on the next 2% of your salary. That means if you contribute 5% of your salary, your employer will give you an additional 4% of your salary in retirement contributions. This is called the employer match. Getting the maximum amount possible of this free money should be your first priority in saving for retirement. Even if your 401(k) or 403(b) defined contribution choices are not stellar, you still get an automatic 80% return on your money the very day you contribute. Strangely, many employees neglect to pick up this free money. The 80% automatic return is an offer you should not refuse. After saving enough to get the full match from your employer, don’t necessarily continue to use your employer’s plan as your only retirement basket. After getting the full match, we recommend funding your Roth IRA, your spouse’s Roth IRA, and your taxable account. Only after adequately funding these individual account choices should you consider putting more money into your employer’s plan than is necessary to get the full match. Many retirement plans are laden with extra fees and expenses. The difference in fees is often 1% or more. The longer you leave your money in a defined contribution plan, the more the excessive fees will erode its value. There are plans so laden with fees that they are not even worth the match. Where the fee differential is 2%, after 30 years the fees will have eaten up the entire 80% match. In other words, if you had the same amount of money in a traditional IRA account earning 2% more because of lower fees, after 30 years you would have 81% more money in your account. For this reason alone, make sure that you don’t leave money in an employer’s retirement plan any longer than you have to. After terminating employment with one employer, you should always roll that money into an IRA Rollover account where you can invest with lower fees and better choices. In response to retirement plans with high fees, we crafted our “dream 401(k)”, a retirement plan which includes every feature and cost option we would want in our own retirement plan. We use that plan here at Marotta for our employees and we offer to help other business create them as well as a part of our Retirement Plan Management service. Unless your retirement has similarly low fees, it is a mistake to move money from a previous employer’s plan into your current employer’s plan. This mistake, however, can often be undone. Money that has its source from another employer is usually allowed to be rolled out of an employer’s plan and into an IRA Rollover account. If you are in this situation you should see if you can rescue some of your investments from the higher fees and limited choices of your current employer’s plan. There’s another important tax reason not to put all of your retirement assets in your employer’s plan. If you take a deduction while you are in a low tax bracket and in retirement when you are taking withdrawals you are in a higher tax bracket then your contributions work against you. You would have done better to have put your extra non-match retirement savings into a Roth or taxable account. Your tax rates are likely to be higher during your retirement. In 2017, top marginal tax rates are only 39.6%. Before the Regan tax cuts the top marginal rate was 70%. Before the Kennedy tax cuts the top marginal rate was 90%. Tax rates are currently low. When you take the money out of an employer’s plan or a traditional IRA account you will have to pay taxes at whatever tax rate is currently in effect. And after age 70 ½ you will have to start taking required minimum distributions in order for the government to ensure that they will get their tax. Historically speaking, the odds are your withdrawals during your retirement will be charged at a higher income tax rate than the deduction you received when you put the money in. It may be better for you to pay your current tax rate and get your money into a Roth IRA where it won’t be taxed again or a taxable investment account where the growth is only taxed at capital gains rates. If you are just starting out in your career you are probably in the lowest tax bracket you will ever be in. Therefore it is more important to carry your retirement savings in more than one basket. Fund your employer’s plan with no more than is necessary to get the match and then fund your Roth IRA and build your taxable savings.